Recent analyses of data from the MESSENGER (Mercury Surface, Space Environment, Geochemistry and Ranging) space probe orbiting the planet Mercury suggest that that the nearest planet to the Sun was once an active and dynamic planet. The data shows that some geological process distorted impact craters on the planet's surface after they formed. The new findings challenge the long held view by many that Mercury for most of its existence has been a dead planet. Dr. Maria Zuber, from the Massachusetts Institute of Technology (MIT), who used laser measurements from Messenger to map out a large number of impact craters said "Many scientists believed that Mercury was much like the Moon - that it cooled off very early in Solar System history, and has been a dead planet throughout most of its evolution. Now, we're finding compelling evidence for unusual dynamics within the planet, indicating that Mercury was apparently active for a long time." The analysis by Dr Zuber and her team found that found that many craters had tilted over time, suggesting that geological processes within the planet have re-shaped Mercury's terrain after the craters were formed. 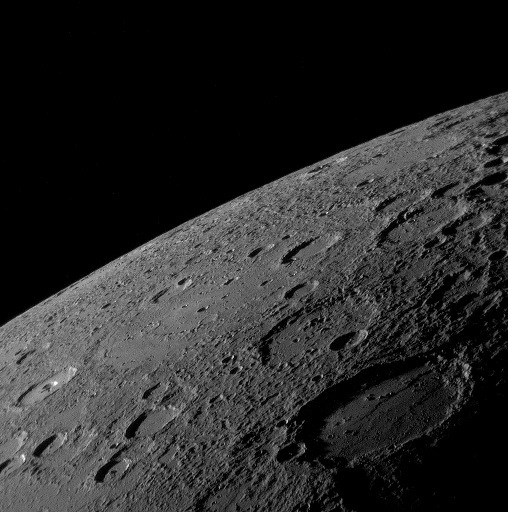 Observations of Caloris Basin, the planet's largest impact feature, show that portions of the crater floor stand higher than its rim, suggesting that forces within Mercury's interior pushed the surface up after the initial collision event. MESSENGER was launched aboard a Delta II rocket in August 2004 to study Mercury's chemical composition, its geology, and its magnetic field. It became the second mission after 1975's Mariner 10 to reach Mercury. 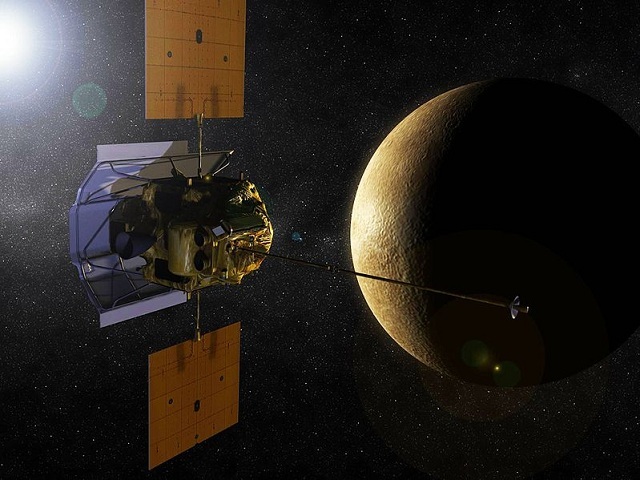 Following three flybys, MESSENGER became the first probe to successfully enter in orbit around Mercury on March 18, 2011.